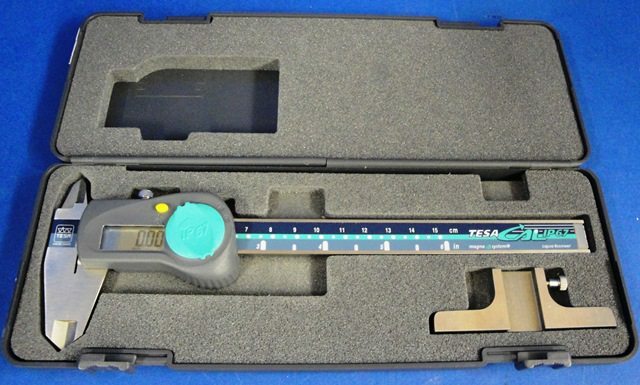 Tesa digital gauge Ip67 with a capacity of 0-150 mm and an accuracy of 0.01 mm. Stainless steel. Squared depth rod. Class IP67/DIN862 protection (dust and plunged into the water 1m). Turns off automatically after 10 minutes. CR 2032 3V lithium battery. Interface RS232. Included plastic cases and depth measuring foot.